The result is a unique blend of bold, distinctive looks and advanced engineering. 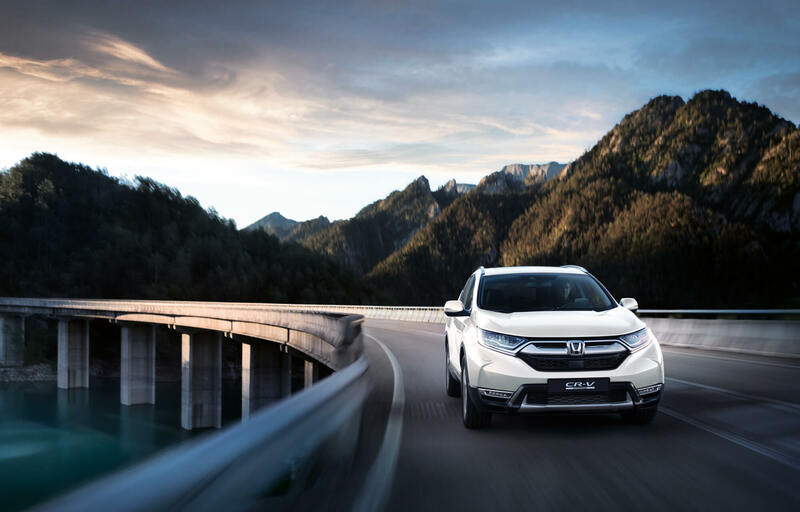 A car designed for the pure joy of driving with our new 1.5 VTEC TURBO petrol and new 2.0 i-MMD hybrid powertrains plus, for the first time on CR-V, a seven seat configuration is also available on selected petrol grades. The new CR-V’s silhouette may be familiar, but the design is new from the ground up. Every one of its sleek dynamic lines, from its muscular wheel arches to its sculpted bonnet, has been developed to enhance performance and maximise aerodynamic efficiency. The CR-V’s interior has been designed to maximise a feeling of connection between you and the car. Clean lines provide a sense of space, enhanced by contrasting materials with beautifully crafted finishes. The controls have been positioned to be intuitive and simple, so although you are surrounded by clever technology, it’s never intrusive. Thanks to our Active Noise Control, which is standard across the range, the interior is a quiet and calm environment. It's also extremely comfortable with four-way power lumbar support for the heated front seats with the availability of heated rear seats and a heated steering wheel. Ensuring every journey is taken in the upmost comfort and relaxation. 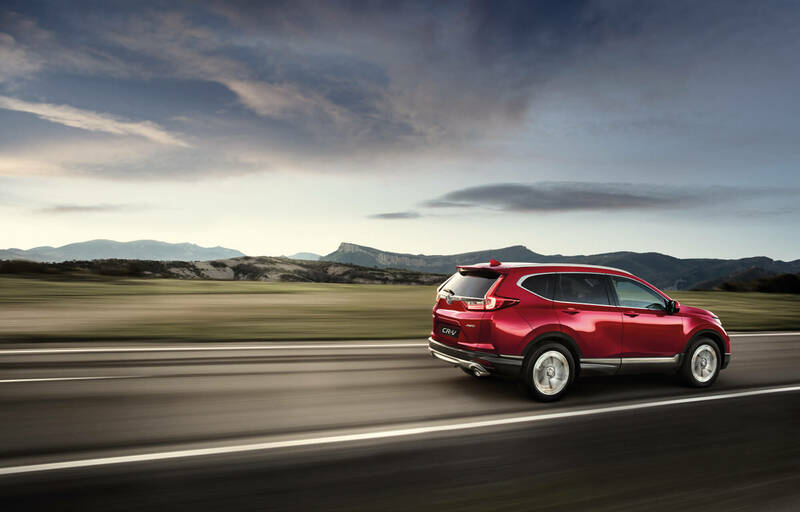 We have developed a whole range of technologies to make driving the new CR-V a truly engaging experience. The new head-up display system projects essential information within your sight line, so you don’t need to take your eyes off the road; whilst comprehensive driving data is clearly displayed in the Intelligent Multi Info Display and can be accessed through your steering wheel controls. 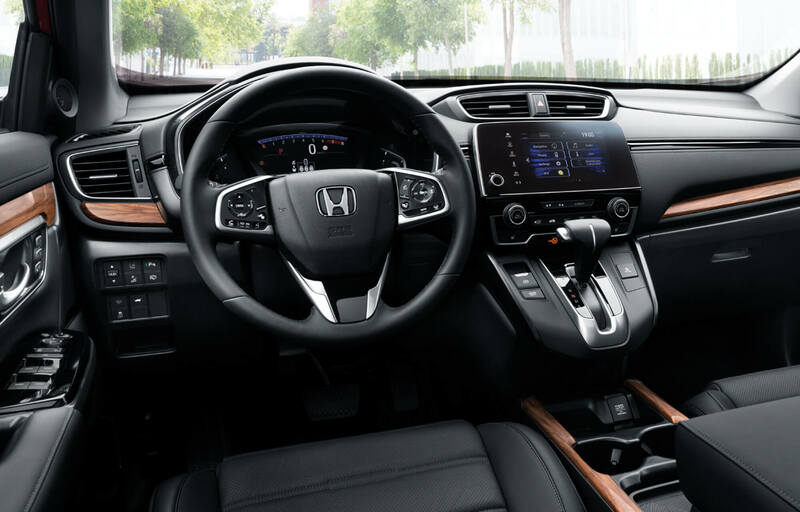 A centrally mounted 7" full colour touchscreen infotainment system Honda CONNECT, can neatly link to your smartphone so now you can access apps, contacts, emails, music streaming and more. Keeping you connected to your world and the things you love. You pack a lot into your life, so we wanted to design an interior that could fit it all in. 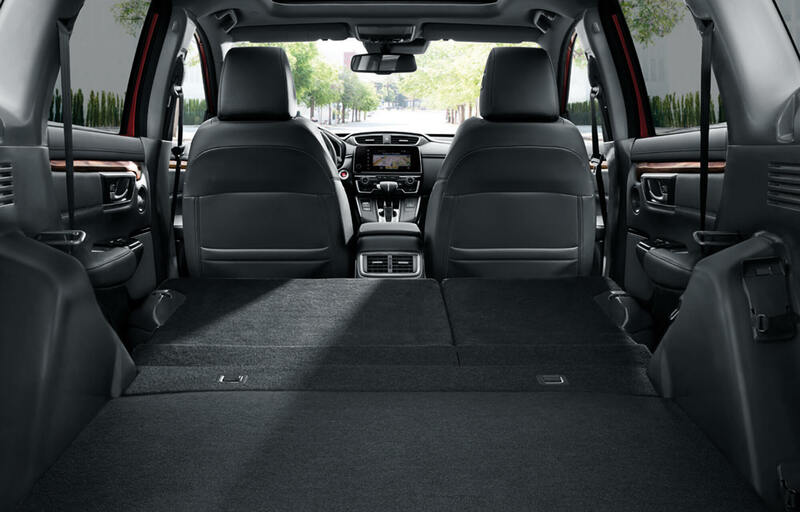 The new CR-V provides a flexible and practical space, full of clever storage ideas, generous amounts of legroom and a large boot capacity of over 1,700 litres with the rear seats folded. It has also been designed to make your life easier, with convenient features such as a hands-free access tailgate, one-motion folding seats and a flat boot floor to maximise loading. If you need to carry more than five people, no problem as the CR-V now gives you the option of seven seats. 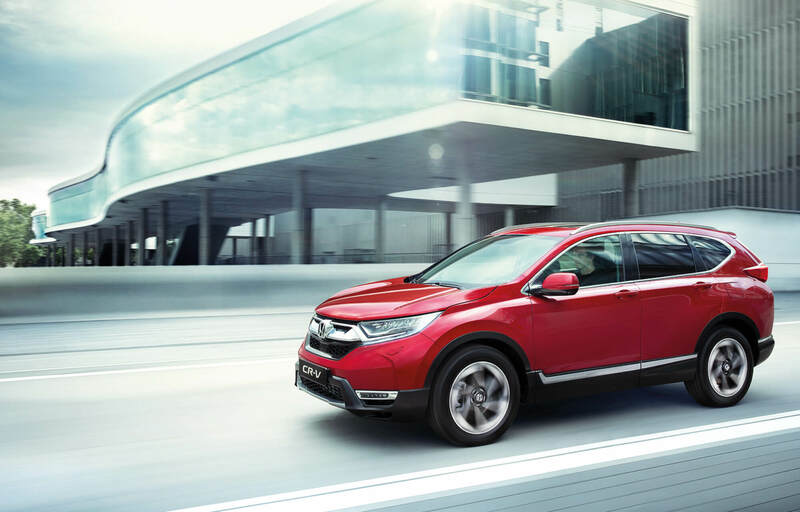 The new CR-V is powered by our latest high-technology engines - petrol or petrol-electric hybrid. Our 1.5 VTEC TURBO petrol comes with two power outputs and provides the perfect balance between performance and efficiency. It can be specified with a crisp 6-speed manual gearbox (173PS) or with an advanced 7-speed CVT (193PS) transmission. 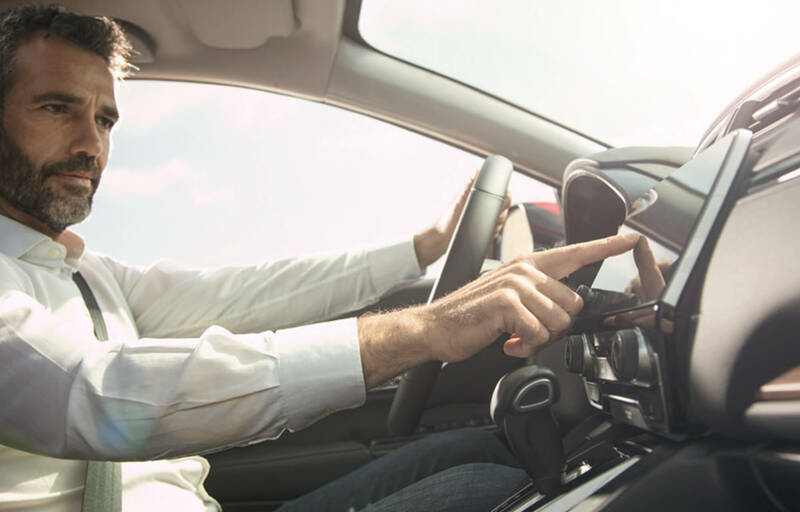 When you choose the CVT version you have the facility to drive the car in a relaxed, fully automatic mode or, if the mood takes you, to change gear using the racing car-inspired, steering wheel mounted, paddle shift. Underneath we've designed a lightweight chassis to be the most sophisticated ever created for CR-V, complemented by our new MacPherson strut front suspension and multi-link rear set-up. Together they ensure an agile drive with excellent levels of comfort. The Hybrid you can feel - Available now! 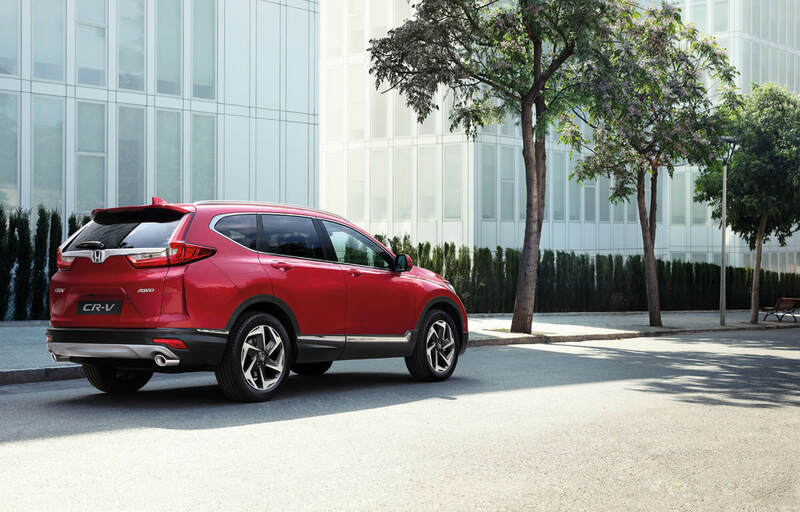 Our next generation hybrid makes its European debut in the new CR-V. We call it intelligent-multi mode drive (i-MMD) and it combines a smooth, powerful 2.0 litre petrol engine with hi-tech electric motors to give you effortless drive ability you will enjoy everyday. i-MMD technology is clever, because it constantly monitors the performance and economy of your CR-V to determine the best combination of power sources. It then delivers the car's optimum energy smoothly and seamlessly by automatically switching between three driving modes: engine drive, hybrid drive and a pure electric EV drive. Available in our showroom now for you to view. Please contact us today to book yourself a test drive.